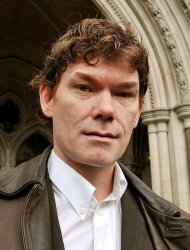 The Home Secretary is proposing to decide by mid-October whether or not to order computer hacker Gary McKinnon's extradition to the US, the High Court has been told. The announcement follows the 46-year-old's refusal last week to undergo further medical tests by a Home Office-appointed expert during his battle to avoid his removal. The US authorities want McKinnon, from Wood Green, north London, to face trial for hacking into military computers 10 years ago. He could face a jail sentence of up to 60 years if convicted.